Myth # 1… My place is too small to entertain! Tis the season to entertain. You live in a small space (right size living) and you feel you do not have the ability to invite family, friends or colleagues to enjoy some great food…a little wine and fun. So not true! If you are organized and have your small space in order… It’s easy, manageable and can be stress free. I will be preparing Thanksgiving for Juan and I as well as my mom and her friend. I’m not worried and it’s not about stressing myself out…it’s my holiday too and I want to enjoy. 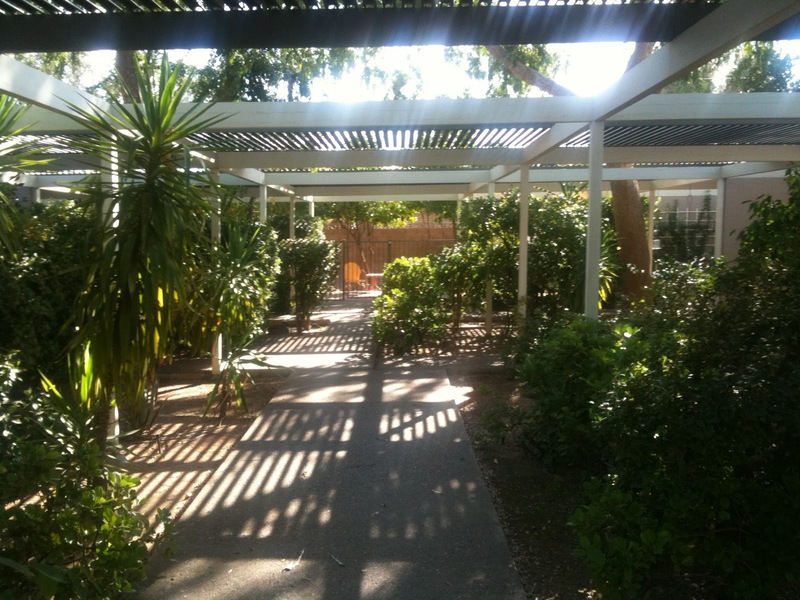 When you walk in the main area… It’s a long narrow rectangle space. So… not a lot of counter space to place covered dishes or hot plates, etc. I have seating inside and outside, however outside is not quite ready. Simple yet not formal seating…narrow area to sit and hang out….no problemo! I try to create intimate areas for people to hang out and enjoy without creating a huge roadblock of the narrow walkway through the house. The patio is a great place to have cold beverages on ice as well as glasses etc and place to have people enjoy and hang out. In the living area is a great place to have horsderves and another area to have people mingle and enjoying while you are doing the finishing touches in dinner. What is so great in being in a small space, you stay connected to everyone. Me… I’m always thinking out of the box! Tradition dining with different thought process about how we go about doing it. 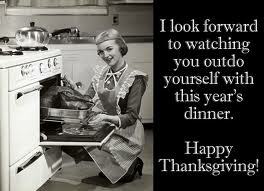 Thinking about Thanksgiving Day and trying to prepare a hot and delicious meal for all to enjoy is all about timing. Cook the stuffing and prepare the turkey. Then you have to boil potatoes…gotta have some greens. The rolls…where are the rolls to bake?…pumpkin pie from scratch??? Oh and then the homemade gravy…and all needs to be ready and hot all at once without drying out or burning what is already cooked. I’m tired just thinking about it. Now the way I do this will probably not be an option or desire for you, but I find this way easier on me and then I can enjoy like everyone else. I’m typically home on Wednesday and by then I’ve been to the store and hopefully got everything I need. (Juan can always make a run if I forgot something). There’s no stress as I start cooking the stuffing and prepare the turkey. I enjoy some wine as I boil some potatoes and decide to get all my dishes and dinnerware ready for tomorrow. I continue preparing additional dishes if needed and get the table ready for a party. Basically I prepare pretty much all of the dinner or the majority of it so that on Thanksgiving Day I’ll be ready, happy and stress free to enjoy my meal with my family. By doing this, I do not have the extra dishes around where I don’t have room…I’m able to heat in my ceramic ware and place on the kitchen granite countertops. I’m able to reheat the turkey and stuffing…heat and add additional cream to mashed garlic potatoes, prepare the rolls and everything will be hot and ready at ONCE! You probably think I’m crazy or weird but for me…I’m able to enjoy Thanksgiving morning with a bike ride some coffee and Juan. Enjoy a relaxing rest of morning adding final touches to my table. Have my meal heating while guests arrive and have everything hot and ready at once when everyone gathers around the table for grace. I enjoy entertaining and I enjoy having people over to my small space…this works for me and I truly enjoy cooking and baking. I’m forever trying to do things easier and better each time…you might think of something different, if so…you should share and I would be happy to post! Right size living has made me and Juan much better at eliminating the clutter or STUFF…keeping organized and in their place and enjoying a simpler lifestyle. So why not cook ahead of time and enjoy the “meal/leftovers” on Thanksgiving Day. 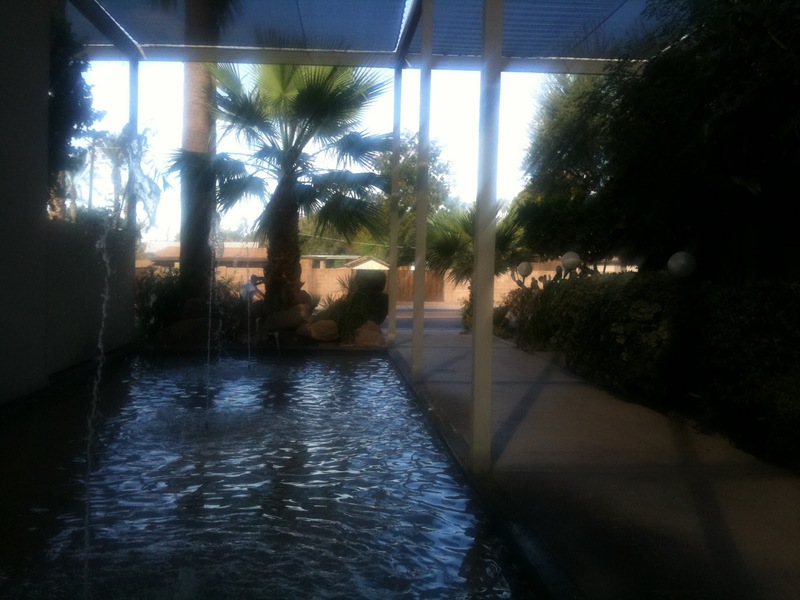 I grew up in Central Phoenix, just a few blocks from where we presently live. 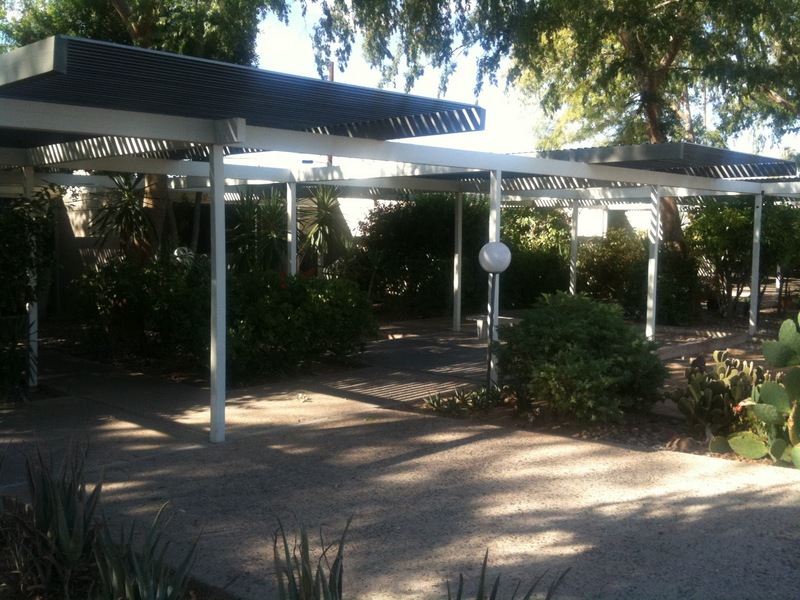 Back then all of the homes in the area had carports with an attached storage room. So, the idea of carport parking was not too hard to wrap my arms around. Besides, we park under a carport at the office, so it’s not like our car is going to get any more/less dusty at night than it does during the day. The real attention getter was that my “extra” storage space was being drastically downsized. In earlier posts, we discussed the “weeding-out” process. Once we’d tackled that, it became apparent to me that I didn’t really need as much space as I imagined. I just needed a place for my toolbox and a few other necessities (i.e., carwash supplies, spare bike parts, a couple of bikes, etc.). When we moved into Patio 71 last winter, we brought 5 of our original 10 bikes with us. Through careful planning and a trip to IKEA, we managed to store everything we need in our 4×8 storage room (including 2 mountain bikes). Just prior to writing this post (this past weekend in fact) we pared our collection of bikes down to 2. We could store our current stable of bikes in the storage room, but with the extreme heat, we prefer to store them inside where the “soft” parts don’t dry out. Since we’re a little bike crazy (or just plain crazy) our bikes have become “art” in our office space. So, we actually have unused space in our storage room. ﻿﻿In retrospect, I have not missed the garage one bit. Along with the loss of the garage, we also got rid of the guilt which faced us every time we left/returned in the car and surveyed the accumulated clutter that always seems to invade its way into a garage. Now we simply park and go inside. So You Are Now Minus A Garage…Now What? When Juan and I decided to move into a smaller square foot home, we knew we were going to have to make some sacrifices and concentrate on the reason why we were doing this. 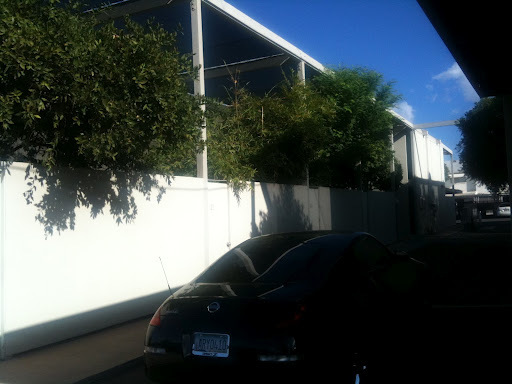 One of the BIG BIG issues… A Garage. I know most men would whimper at the thought of eliminating the most precious room of the house (ask my middle brother). Even Juan was a little upset at first…heck I was too. It was great extra storage room. Yes, a place I could buy more STUFF and store it. However, there are truly great reasons for having a garage. So we decided that we truly needed to figure out the kind of riding we wanted to do and pare down to one bike a piece which is what we FINALLY did. Seriously it was just this past week that we did this. Even though we have been in the 900sqft home for months! I’ve been asked on several occasions about storage and what were my thoughts about storing certain items especially bicycles. 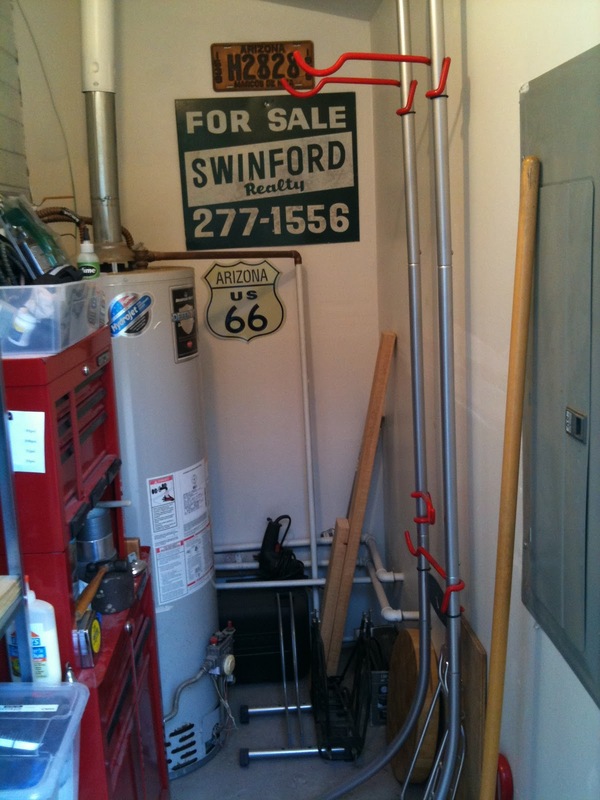 Many couples out there, like me, have been challenged with downsizing and losing the garage. What to do with bicycles that you still enjoy to ride but do not have the storage or garage space AND…do not wish to leave outside due to weather? Why can’t you integrate your bicycles with your décor? YOU CAN! Right now as Juan and I are still “editing” our spare room that will soon be an office/workspace/bedroom, we are creating a piece of artwork on the wall that is called our bicycles. Why not work it into your space? 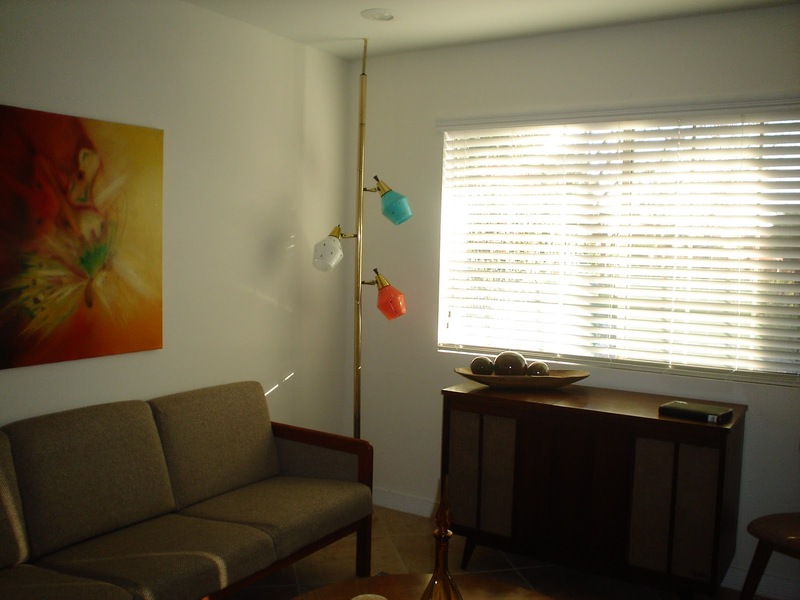 If you have a studio apartment, you can have a pulley system and have them hanging up high. Or you can do what we did and purchase a gravity rack that does not need to be bolted into the studs and hang a couple of bicycles. 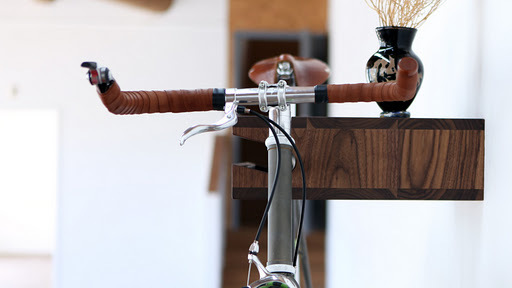 HOWEVER, you can do one step better and purchase a beautiful bike shelf! Chris Brigham has created a beautiful bike shelf that, with simple instructions, you can mount on the wall and hang your bike. It is taking utilitarian one step further by making it useful yet beautiful and simplistic in design. Chris spent his adult life as a Graphic Designer (Check out his website “About”) all along thinking about working with his hands. You see what an incredible and talented individual he is by visiting his website and checking out many of his designs. Chris had no formal training in furniture design, turned his garage into a woodshop and began building furniture. He taught himself and has built quite a successful business for himself (theknifeandsaw.com). Chris saw a need when visiting friends in San Francisco and NYC where storage is a challenge and where to put one’s bike. 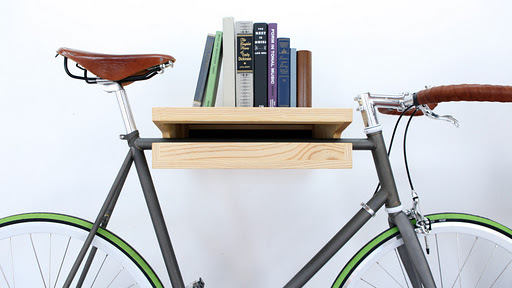 He saw a need for some “bike management” and created the bike shelf. It is easy-to-install (mount to wall studs) only leaving screw holes when gone (great for renters). It comes in walnut or ash and looks beautiful on the wall. You can add some books or other lightweight items (holds up to 40lbs) keeping more clutter out of the way. Are you challenged with a couple of bikes in your small space…getting in the way? Do you find yourself moving your bike from one wall to the other to get it out of the way? 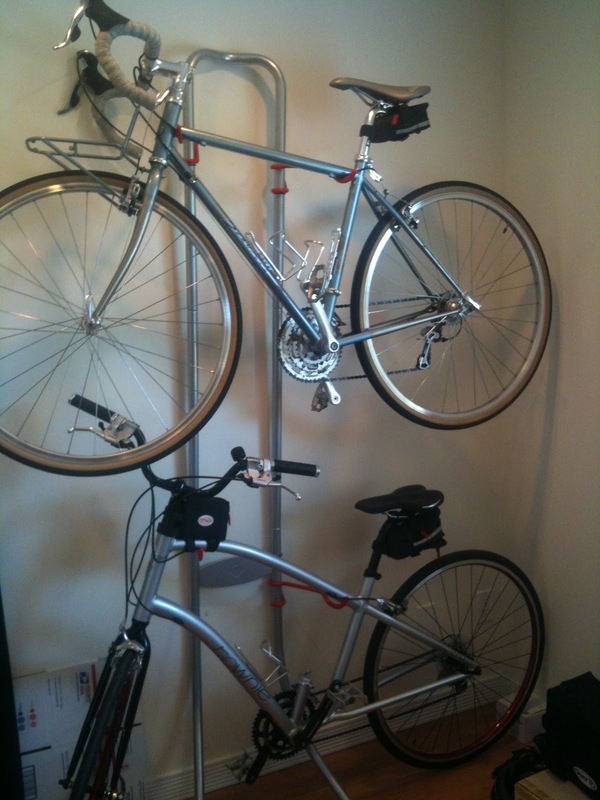 I would suggest you check out Chris’ Bike Shelf and get one…or two. 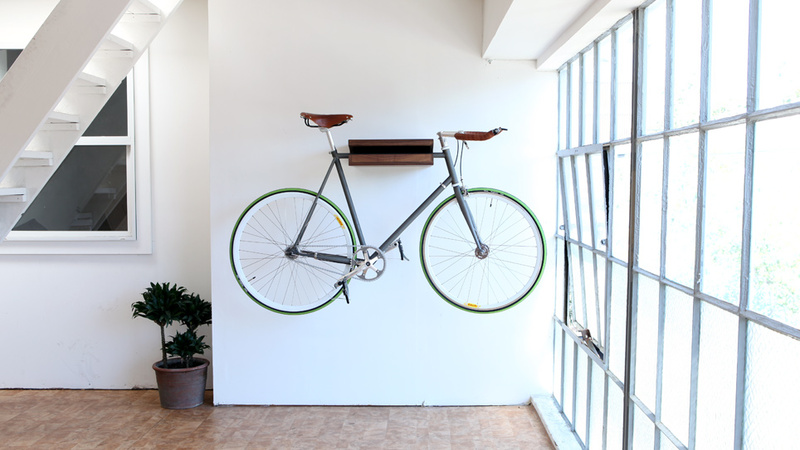 What a great way to display your beautiful bike, add other accessories and have room to move around. Edit, Edit Edit and when you think you are done? Edit again! To briefly update you….in my blog “Admit It! 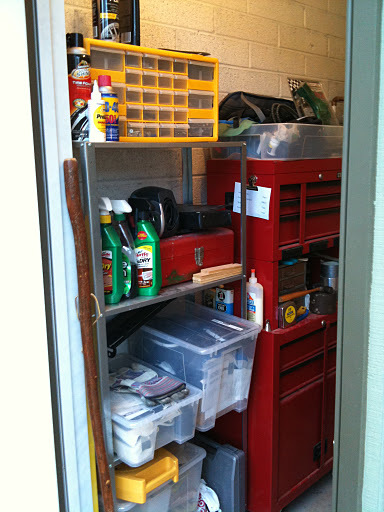 You Are A Proud Owner Of A Junk Drawer, Closet, Garage or in my case….a Room! 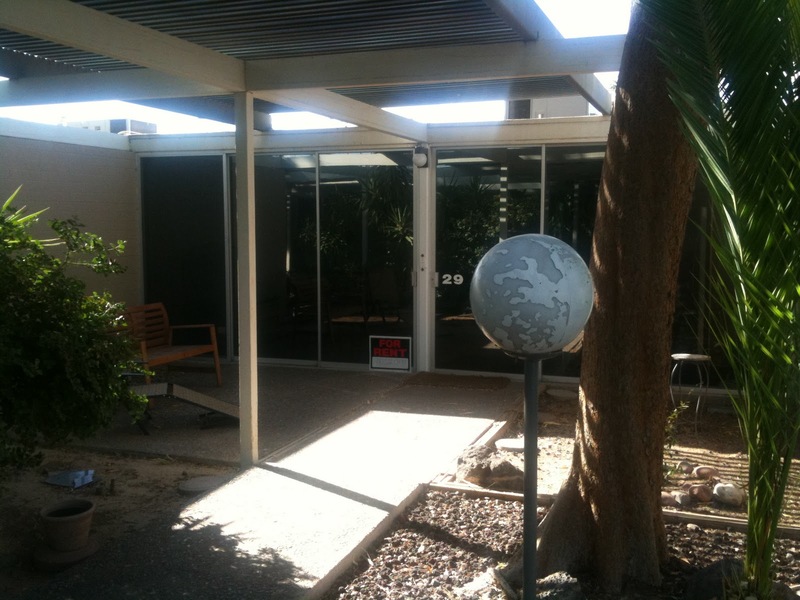 I am looking to take this great precious space and turn it into a workable office and organized room. I am so excited as I have found so many options I can choose to help make this space become what I need it to be. From wonderful furniture like at Resource Furniture (PLEASE check out their site…some awesome space saving furniture) to other organized products dedicated to small spaces. In the coming weeks, I will spend some time on great resources and ideas you can utilize in your small space where you can live quite comfortably and enjoy a simpler lifestyle NOT be a slave to your home, mortgage, landscape, etc. SO I am once again having a garage sale. 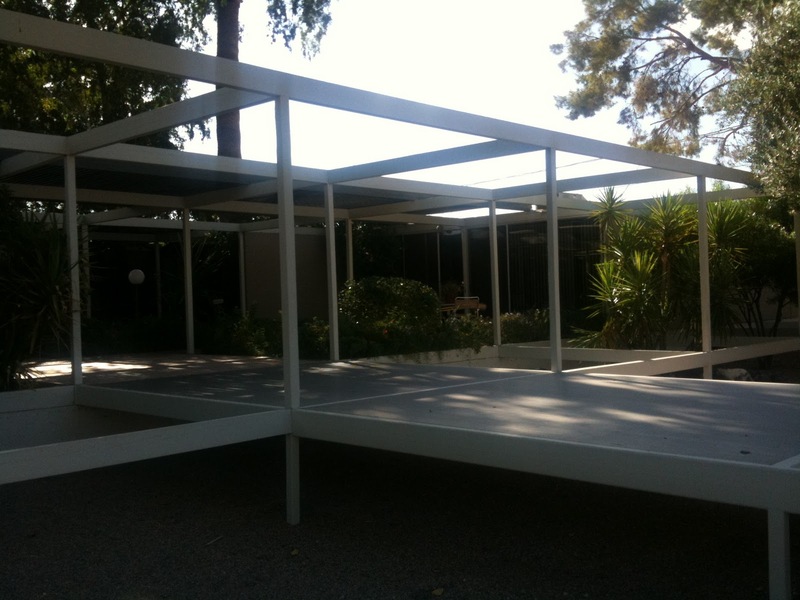 Okay a carport sale as I do not have a garage anymore (wink wink smiley face). 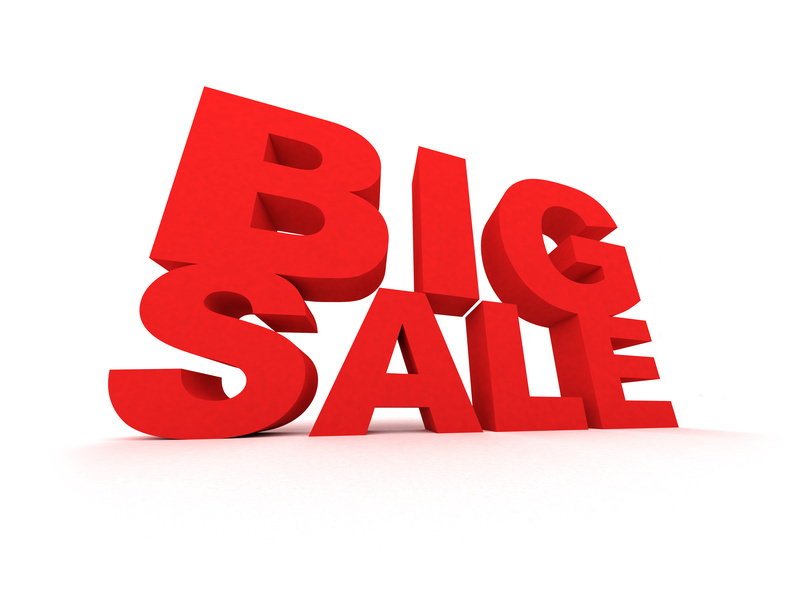 I am rounding up our little community and inviting other neighbors to join in for a weekend of “deals and steals”! I truly thought that Juan and I were rid of the unnecessary STUFF alas we are not. Edit edit edit….constant editing of stuff and what’s important and cherished I should keep. I admit, at times as soon as I’ve cleaned up and organized an area….I start spending money to buy more STUFF! Figuring I have pared down too much…Nope…still too much stuff. Why am I saving this? Why not use the good dishes all the time, what am I waiting for? Enjoy these beautiful things. Funny story…I’m sure I’ve mentioned in my past blogs.. In 2007 I lost the best friend and father a little girl (okay I am not so little anymore) could ever have. My Mom decided to downsize once again. Yes, she had a huge estate sale before and got rid of 40+ years of excess so she could move from a large detached home to a “Patio Home”. Now with her best man gone she decided once again to get rid of stuff and go smaller. She did a great job all by herself. I came over one day after the move and she had a chance to settle in. I brought over some sort of dessert and was trying to figure out which drawer she had placed her utensils. Surprised, I found the utensil drawer however it was not filled with the basic stainless steel stuff….it was her cherished sterling silver. I looked up and said “Mom, what the heck?…Your sterling is in here, why?” She looked at me “matter-of fact” and said “Mary Shawn, (yes, she likes to call me by my full name AND with a Southern accent) Why should I keep my beautiful sterling packed away in the closet waiting for a perfect dinner or event to use it. Every day I am here enjoying life is a perfect time to enjoy and use my sterling!” I could not agree more. So is it time for an “Edit Session” at your house? 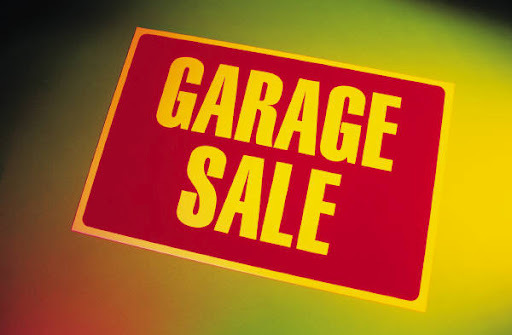 Now’s the time before the holidays to have that yard/garage sale. I’ll keep you posted as to the exact date. Juan and I are quickly approaching 1 year since we made the plunge to downsize… get rid of STUFF and simplify our lives. It has been met with challenges…from people who thought we were crazy and from ourselves trying to wrap our minds around living in a small space and getting rid of excess baggage. However, if we had to do it all over again…we would in a heartbeat. We have had a wonderful opportunity getting to meet great people that have plunged into small space living and enjoying a simpler lifestyle. We are experiencing learning about great companies out there that build small spaces or furniture to fit in those studio style spaces. So here’s to enjoying the simpler lifestyle and creating beautiful living spaces (I know, my favorite “word of the day” is spaces). Since we love to spend the weekends riding our bicycles, we decided that we should seek out some cool spaces more “multi-living” style. Of course we live at a great place (Patio 71) that once were apartments built in 1970 and a couple of years ago, were rescued and brought back to their beauty and now are condos. What we liked about the place we live in is we were not looking for the typical condo/apartment style living where there are 100’s of the same apartments slapped together. B-O-R-I-N-G!! We wanted an older structure as we knew apartment homes were built with great architecture detail not “cookie cutter” style. We also wanted to be more urban to be able to walk or ride our bicycle to local shops, restaurants and other independent businesses. 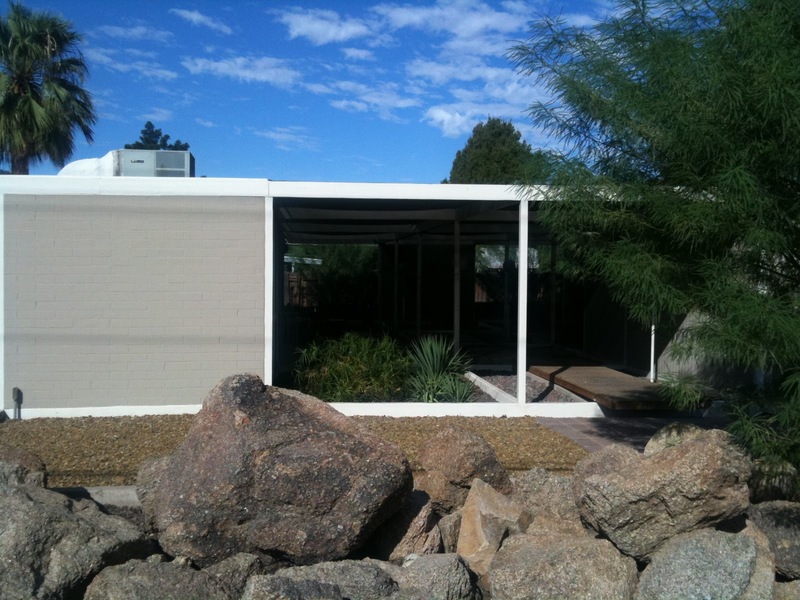 So today we wanted to share a couple of other Multi-housing mid-century beauties that make a joy to come home. So hop on your bicycle and take a ride with me. 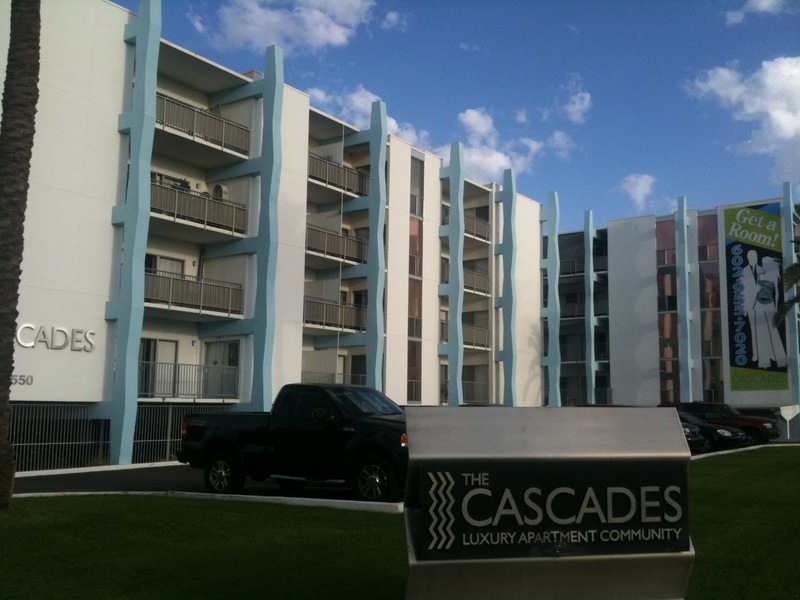 The Cascades “modern 60’s” style check out the architecture design in the building! They have great floor plans from studio to 2 bedroom 2 bath at 1,243 square feet! The details in design of this structure is so cool! And they have kept up this look and fell throughout the complex. The Arc Lofts and Apartments are right across from The Cascades. Not as many units but they have updated them as well with three levels of modern 60’s fun. Courtyard of The Arc. small community feel! It’s three stories of apartments and these are rentals as well. 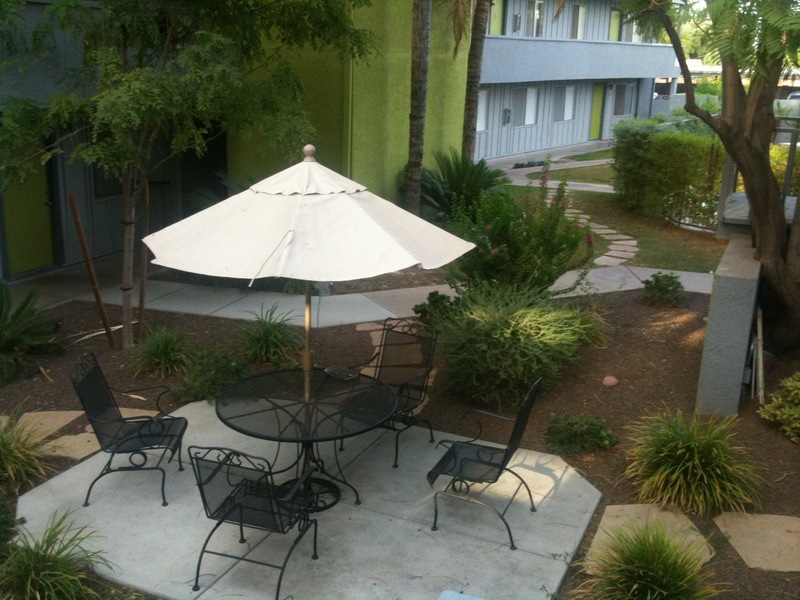 A small complex with what appears to be a beautiful area to meet with other neighbors! 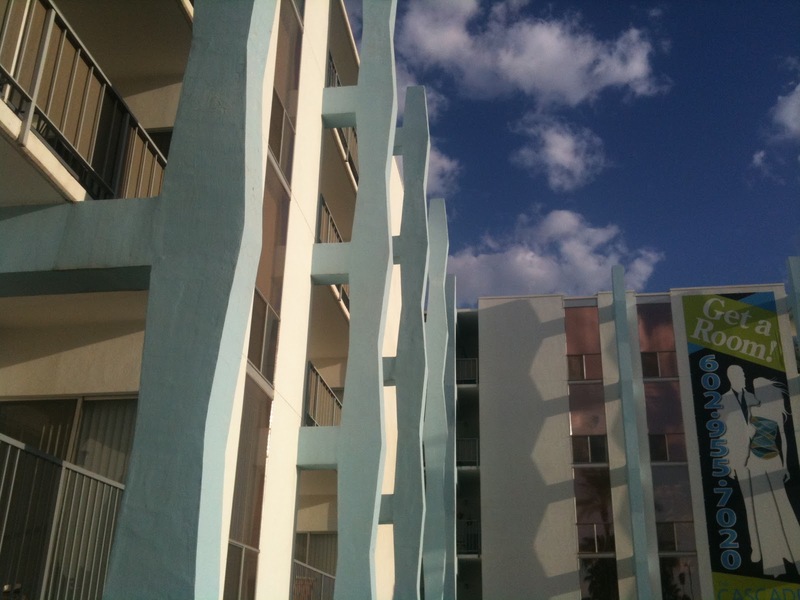 ﻿Another great architect of midcentury modern design is Al Beadle AND I la-la love two multi-housing buildings he designed…Three Fountains and The Boardwalk. 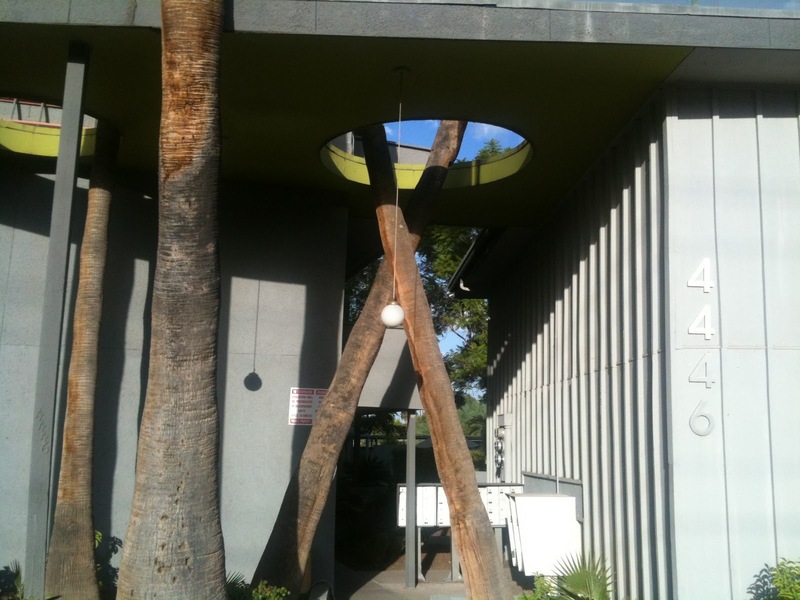 What a great entrance at The Boardwalk-Look…for rent! So if you think by downsizing you have to settle for some “cookie cutter cardboard construction” Multi-housing unit…think again. Across the US there are great older style units you should consider if you are truly looking to downsize. Start by researching your area for stories on homes or buildings that are going through renovations, seek out the older style apartment homes where there are 70 units or less in the group. This brings a much smaller community feel. If you want a standalone home (ever think of duplex or triplex living? )….check out the historic areas… great place to meet people that have the same passion as you and are also a great source of information on the area and what you are seeking. Of course realtors that specialize in small space living or historic area knowledge is a great source too. 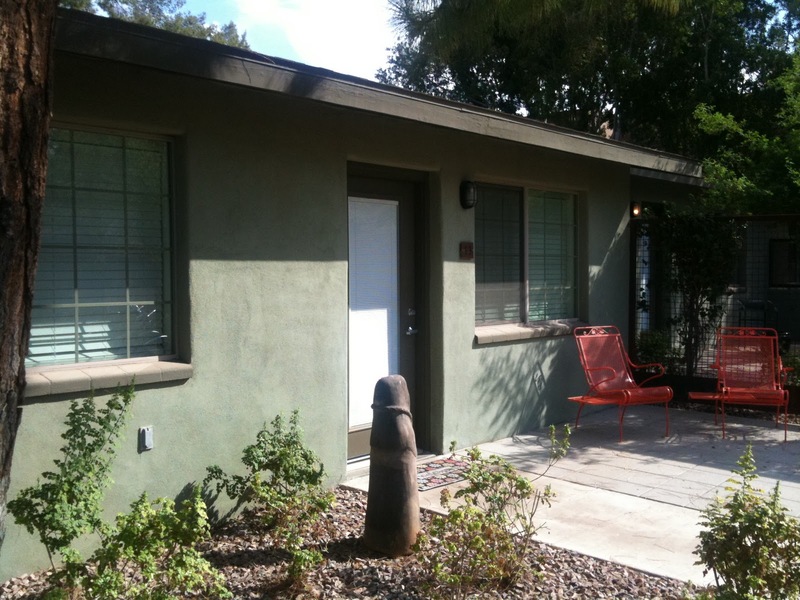 I live in the Phoenix metro area… I would love to hear from you and share the beautiful small spaces/multi-housing that have recaptured their beauty (love the mid-century modern stuff) in your area. Reason #3 Why We Love living In A Small Space…More Time For Living! This is what I love about living in a small space, simpler life and living more urban. We can get our chores done with ease…cleaning house, laundry etc and set out for some fun! With the weather being much more tolerable, (not two zip-codes past hell kind of weather we’ve been having), Juan and I can enjoy riding our bikes NOT just for exercise but our means for getting from here to there and everywhere. Case in point weekends! This is the time when Juan and I think of destinations we can head to on our bikes. We make it a goal to try and park the car Friday night and not get in until Monday morning heading in for work. 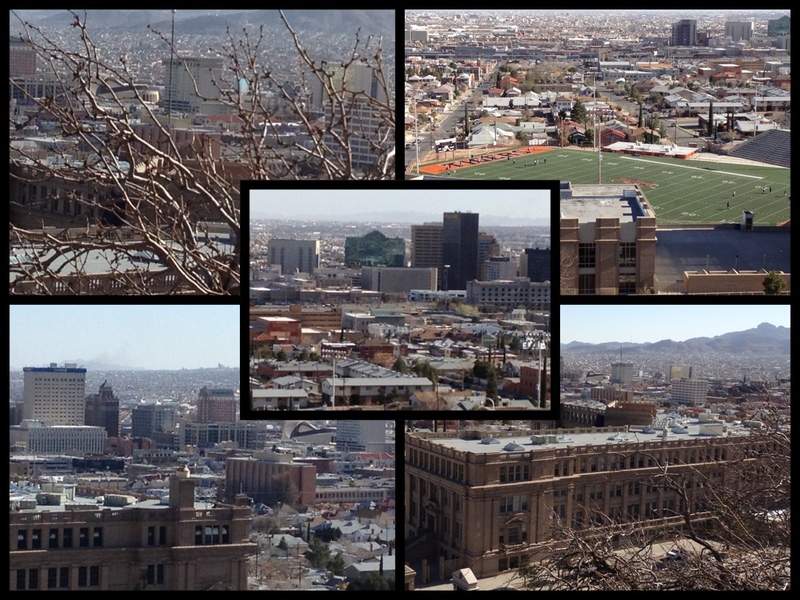 On Sunday, we headed down to the Willo District here in Phoenix AZ. 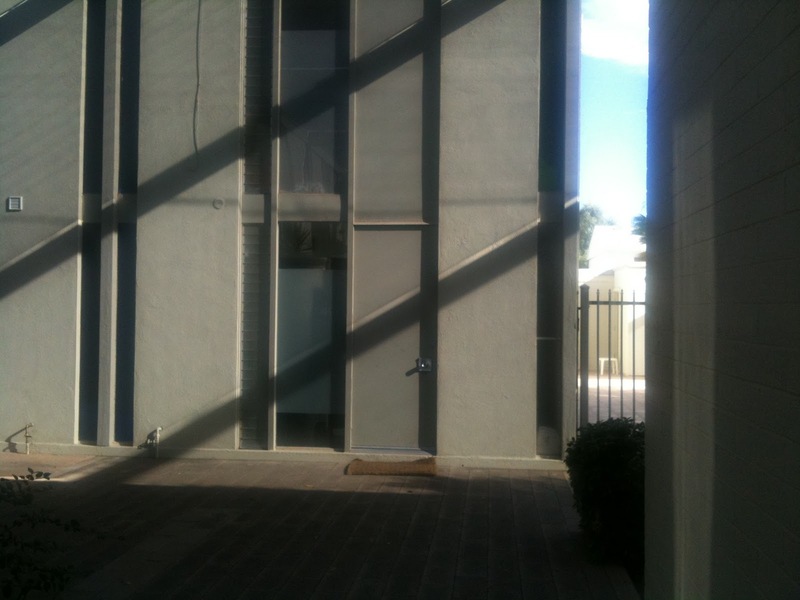 This neighborhood is right in the middle of downtown Phoenix. This neighborhood reminds me a lot of where I grew up in El Paso TX. There is such an array of homes… all different architectural styles! I believe building started in the early 1900’s and continued to build and grow up to WWII. In the 1920’s, many homes were built in the bungalow style. Then during the 1930’s, the Period Revival brought many more architectural styles such as Tudor Revival, Greek Revival, Spanish Colonial Revival, American Colonial Revival, and Pueblo Revival. You also see some French Provincial and Monterey style. They have an annual Home Tour, typically around the second week of February where you have an opportunity to tour many of these homes. It is great to visit with the owners and learn what they have done to restore the beauty of these homes and how much enjoyment these little homes bring them. So I will end this blog with a short video montage (about 2 ½ minutes) of the homes we visited via our bicycles and iphone.